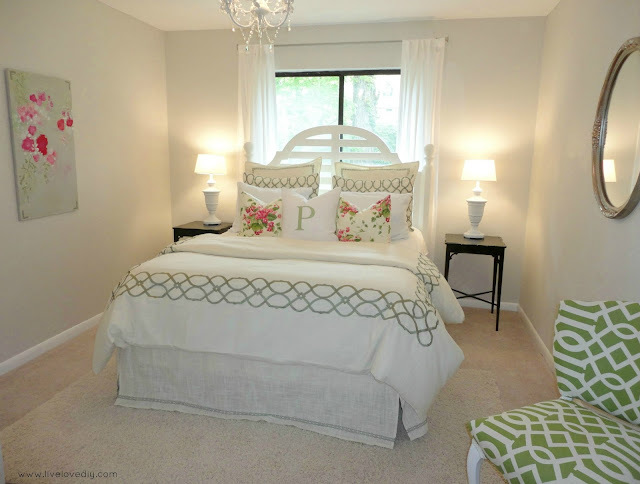 I finally get to show you the summer reveal of our guest bedroom. I've been working on this room for a month now, and I'm excited to finally be able to share it with you. I repurposed most of the items in this room, so I have tons to show you! This room has been redone three times now because I'm still learning and evolving my style. Since I repurposed most of the items found in this room (see first reveal here and second reveal here), it never hurts to try out new ideas. So, in a few months when I'm all about manly colors and dark wood and this turns into a mancave, just smile and nod. Mwuahaha! Like that will ever happen! 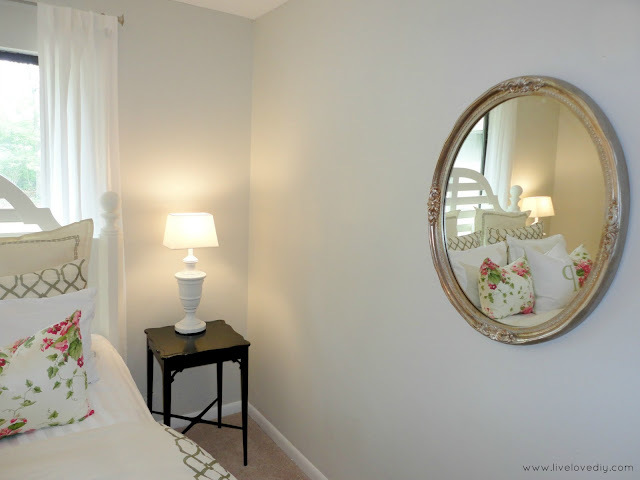 Until then, here's how the new guest bedroom looks today! I chose pink and green as my accent colors because I have a major crush on pink right now (if you follow me on Pinterest, you know this) and green has always been a fave of mine. I kept the rest of the room neutral because I will always deep down be a neutral gal. I'm just learning that I like a little color thrown in the mix. I realize that is a really weird statement coming from me. The redo of this entire room all began because of the bedding. After falling in love with a duvet cover from Bedding Style, I basically tumbled down the room-redo-rabbit-hole and decided to completely redecorate the room. It couldn't be helped. I chose a classic ivory duvet cover, pillow shams, euro shams, and a gorgeous linen bed skirt that all had the trellis pattern embroidered in a soft green color. 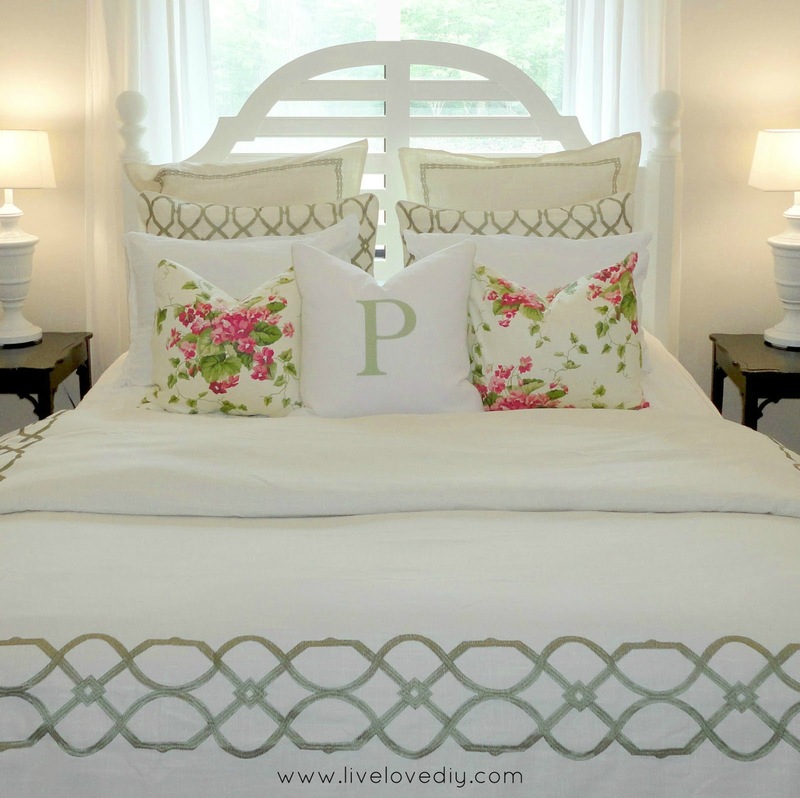 Trellis patterns are one of my fave things on the planet right now, so naturally I kinda just want to sit and stare at this bed. Adding a couple of my own items really pulled it all together, and created just the look I wanted. Remember my DIY pillows I made with glue? Well, I made the pink floral ones for this room. For less than $3 each, they're a great way to save money so you can splurge elsewhere. I also decided that my 'P' pillow belonged in here, too. He really gets around. The pillows weren't the only thrifty addition to this room. Oh no...there's so much more. Let's start with the breakdown. I told you. I popped tags all over this bedroom. Remember my thrift store chair I reupholstered just last week? I chose a green and white trellis pattern, knowing it would be the perfect little pop of bright green for this room. And that ornate oval mirror? That was a thrift store find, too. You may remember it from my trip to the thrift store. It was originally a little too gold for this room, so I took it down a notch with some silver Rub n Buff, which is my fave thing ever for frames and such. The gold still peeks through, but it's a little more subtle now. 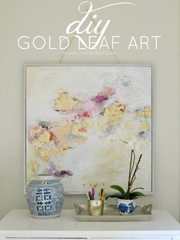 I love gold, but wanted a softer look for this room. 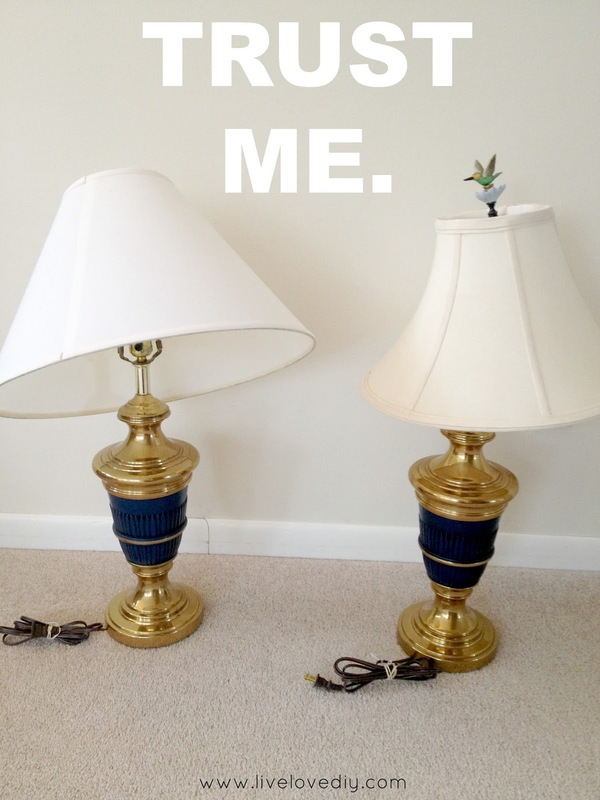 is the bird lamp situation. Remember this? Well, those brassy little bird lamps got a makeover with my fave high gloss white spray paint and some modern square lampshades ($8 each at Target). Here they are now. They're simple and chic and look great on my new black side tables. And those black side tables? They were totally damaged and falling apart, and just begging to be dumpster food. Naturally, I ran to them and stuffed them in my car. 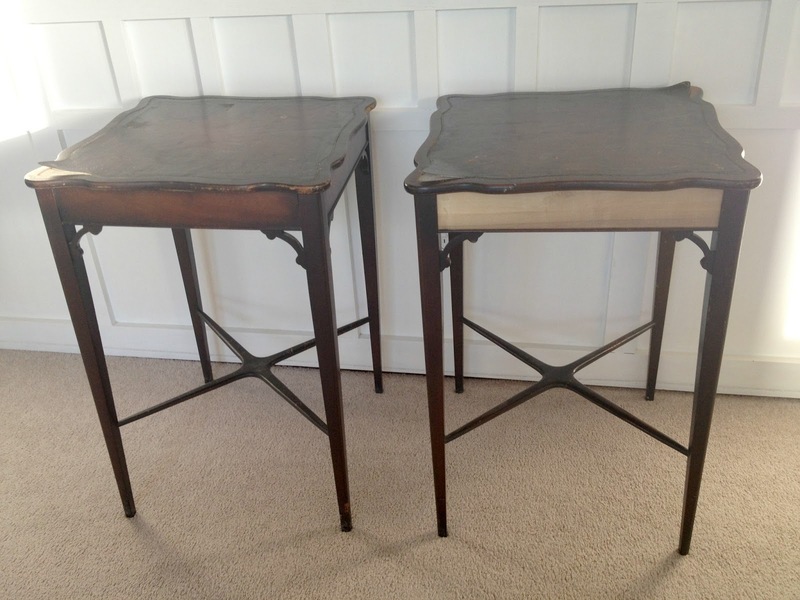 I took them home, patched the wood with wood filler, and spray painted both tables with Oil Rubbed Bronze spray paint. I've never used ORB on furniture before, but it created the coolest result! It's kind of a black-brown with a really shiny finish. It turned out to be perfect. And they look brand new. Total investment for 2 lamps and 2 tables: $10 total. You can also see the headboard in the above photo. I don't have any before pictures, because I did that about a year before I began blogging. Dangit. It was originally really old and wood colored. 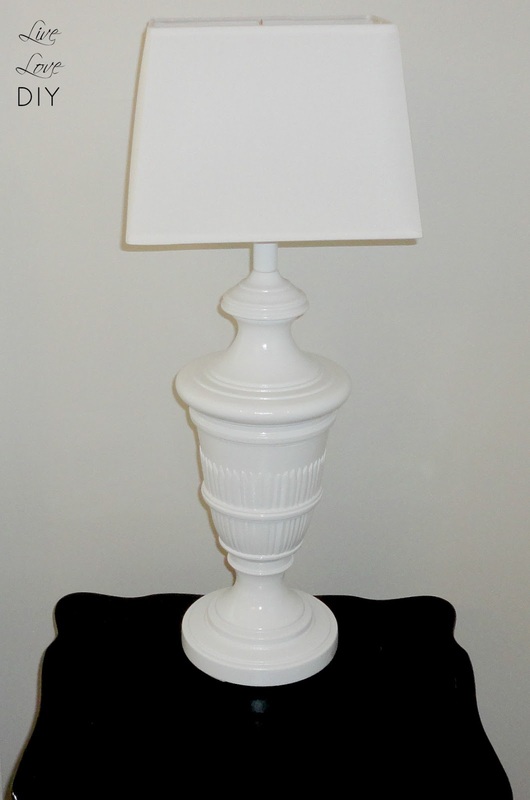 I found it on Craigslist for $20 and painted it a soft white. 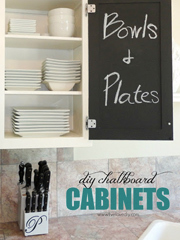 I also created my own DIY art out of an old wooden shelf in my laundry room that was going to be thrown away. Seriously, it used to be a shelf. I'm like a hunter and this house is my buffalo. I use every piece of this animal. I think it looks great on the wall beside the bed. I also hung a sweet family picture. It's the graduation photos of my husband, his father, and his grandfather. My mother in law gave that to me after she had it beautifully framed. One of my favorite gifts ever. I plan to make that small section of wall a gallery wall of family photos, but I'm still working on that one. Won't that look great though? Here's a view of the opposite way. You can see my little white chandelier. I actually got that one at Home Depot a couple years ago, but I DIY'ed one just like it in our office if you're looking for a thriftier version. So, that's the new guest bedroom. A relaxing retreat for our summer guests...or a place for me to hoard random stuff...which is usually what happens to this guest room about a week after I clean it. I can feel you nodding in solidarity. Thanks so much for stopping by! 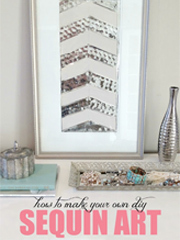 Don't forget to pin this post so you'll have these thrifty ideas when you get ready to decorate! 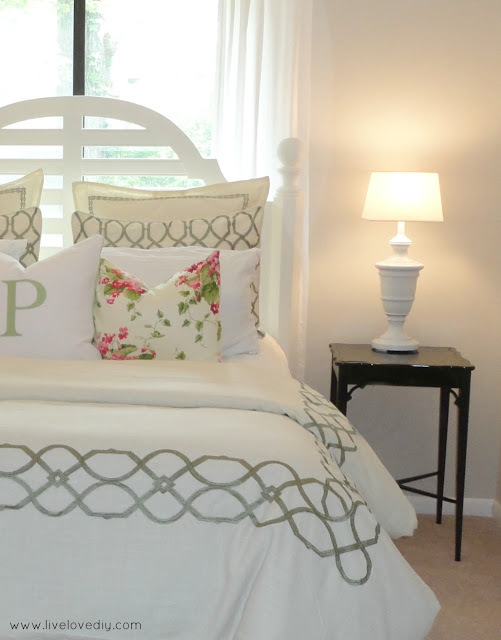 Of course, a big thank you to Bedding Style for providing the beautiful new bedding. I'm absolutely smitten. I totally adore your fabulous room. Love the colors and the bed is amazing. Your new chair is unreal, wow, that is so pretty. I would love for you to link this to my Inspire Me Party that is ongoing. Thanks so much Marty! You are such a sweetheart! Oh, baby! I'm smitten! Yay for color! 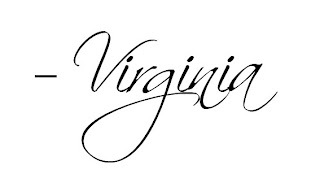 What a totally beautiful, fresh and bright room, Virginia... it's stunning! Thank you so much, Gwen!!!! Heart you, girlfriend!!! Oh man I'll be your guest any day! Beautiful room! Thanks so much girl! You can be my guest anyday! Those tables were FREE?!? Oh. My. Gosh. Love love love love. It looks great! Love it! Green is my favorite color and I have green in my master. Love the chandelier, I have the same one hanging over my tub. I love the soft green colors! 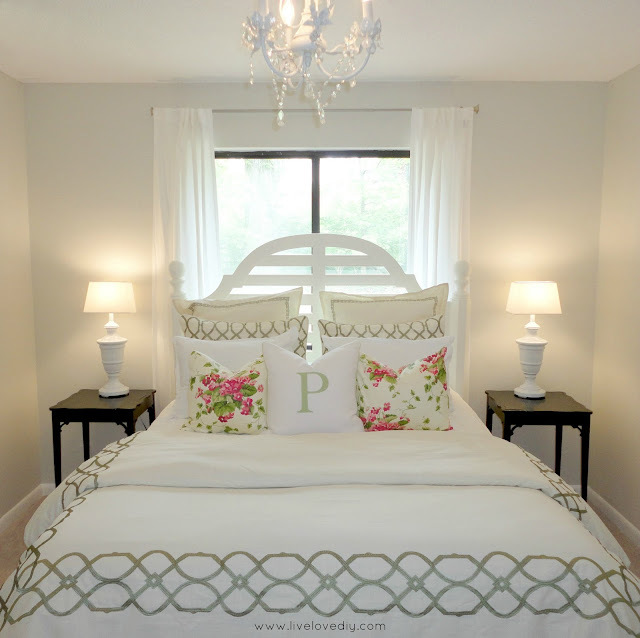 Such a beautiful feminine room! I also took a look at your last two make overs! The room has truly evolved over time! Keep up the great work! Beautiful! 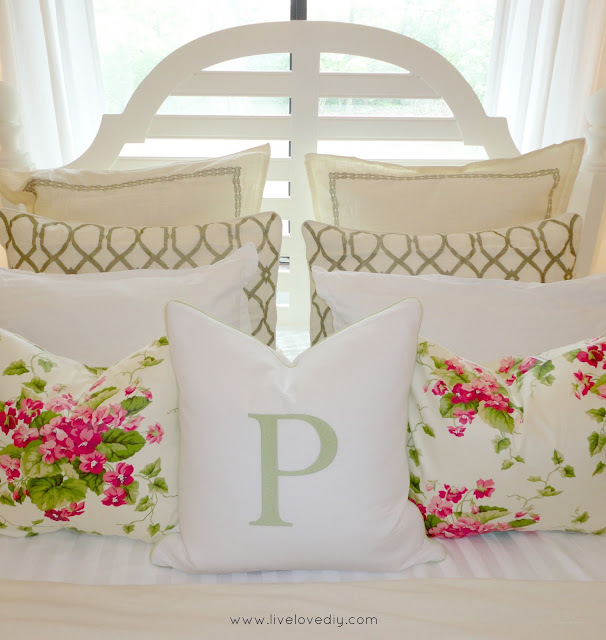 I really love those floral pillows! Beautiful room! I love all the details and the pops of color. My favorite walls in this room will probably always be the stripes but the bedding here is just outstanding. It's absolutely gorgeous, V! I love all of the white with the touches of green and pink...so fresh and inviting! I found you from Southern Hospitality. 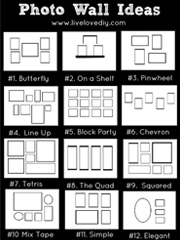 What fun I've had reading about this room's evolution! About the tables...after patching, did you sand or anything before spraying them?? I want to paint furniture but I'm 50ish and not so patient with a long process. So beautiful!! What is your wall color? 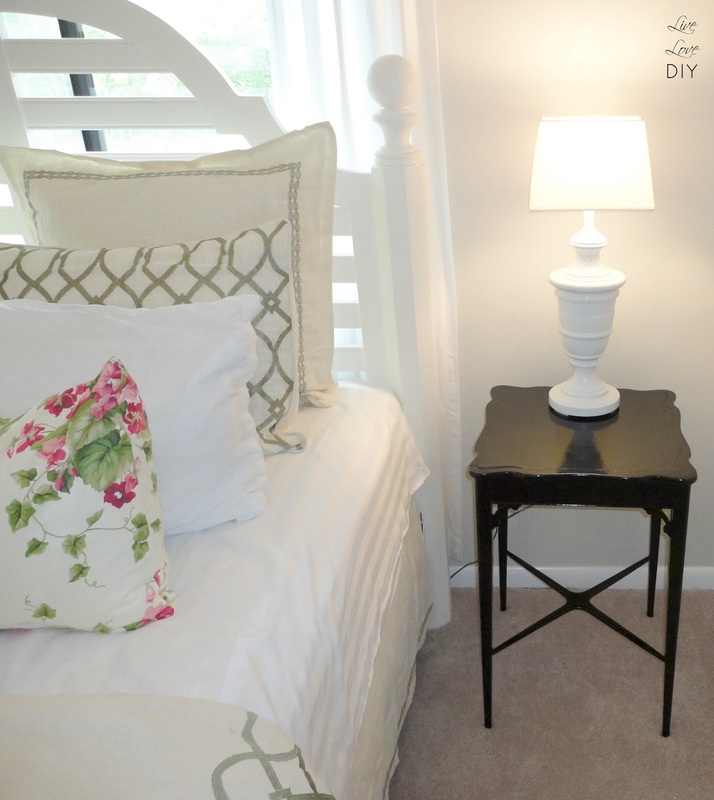 An outstanding DIY guest room. I'm a new follower! Thank you so much! I so appreciate it! Have you ever reupholstered a recliner? 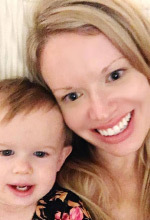 Loved reading your blog! I fell on it by accident and couldn't leave. You have such a charming personality and such creativity! Thank you for sharing! Aw, thank you so much, Kristen! That is truly so sweet and I really appreciate you taking the time to let me know! Yes, nodding in solidarity. That was so funny. The room is beautiful. I love especially that the beautiful painting used to be a shelf!!!!!! I'd like to see how you did the flowery art on the wall! I just love it!!! The rest of the room is fabulous! Did you sand the side tables before you painted them? I absolutely love the bed set!! What brand is it? I went to the link and it's no longer on there. I'm in love with this room!!! Wow this room looks so beautiful!!! 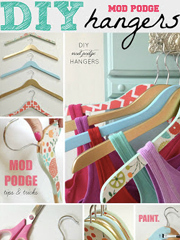 Lots of crafty inspiration here! 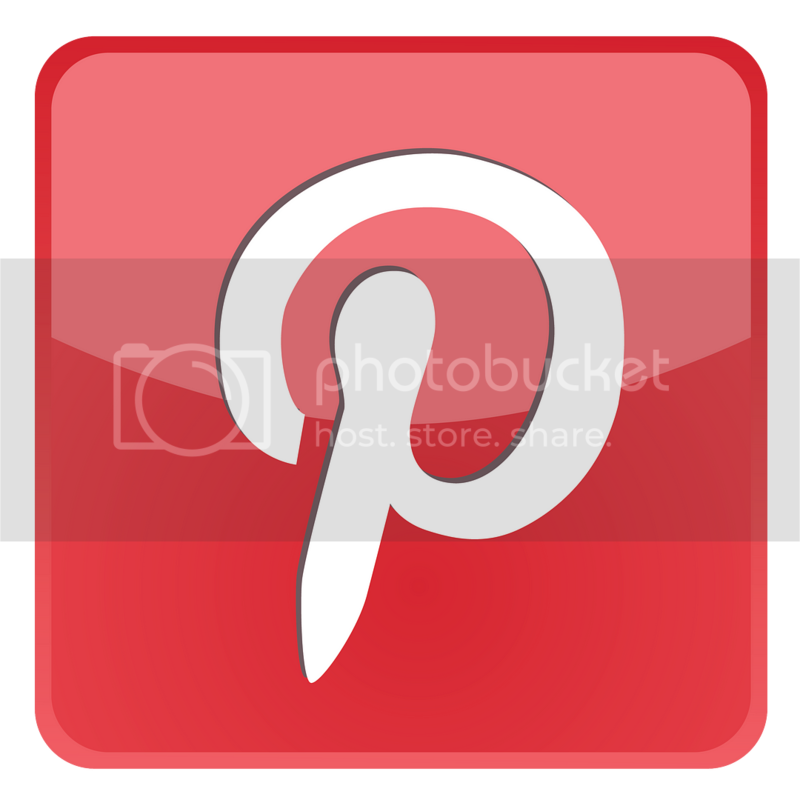 :) Visiting your blog via Pinterest. "I'm like a hunter and this house is my buffalo." ROFL!! In that case... I'm a glutton and your blog is a banquet, and I'm slowly devouring every. Single. Morsel. Thanks for being such an enormous inspiration! This is so serene. What is the wall color??? Love the pillows. Not sure if my comment went through, if so then excuse my second lol! But I love this, you did a GREAT job :) Q: Did you spray paint the headboard or brush paint? It looks marvelous!! Wow! What a beautiful room you created..When guest come and see that, they won't want to go home! You've heard that old story or saying I should say about "Fish and company start stinking after 3 days." Used to have a neighbor that always said this and she would not stay longer than 3 days anywhere, even with her sisters..in 3 days she was ready to come back home..didn't want to wear her Welcome out, she always said. Love love love love love your blog! just happened to stumble upon it and i've been on it for hours!! i like this version of your guest room! Awesome! You did a great job! Love your bedding too - so pretty and just looks like the perfect tranquil setting. I was wondering- where are your euro pillows from and shams? Im having trouble finding some, and does your bed skirt match your euro pillows- did they come as a set? thx and love your style!